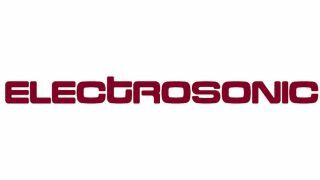 Electrosonic has added Matt Sweeney and Jackson Benedict to new customer-facing roles at the company. Sweeney rejoins the sales department as account manager for the Northeast and Benedict returns to Electrosonic as a systems sales consultant. Both will be based in New York and report to Bryan Abelowitz, Electrosonic’s executive sales manager. They will both work with new and existing clients while coordinating with the rest of the Electrosonic team. Sweeney joined Electrosonic in 2009 and has served in several roles, including project manager for three pavilions at World Expo 2010 in Shanghai and multiple Universal projects including Fast & Furious: Supercharged and The Wizarding World of Harry Potter at Universal Studios Hollywood. He also spent almost three years on the sales team in Burbank, CA before his most recent project management duties. Jackson BenedictBenedict was initially hired by Electrosonic in 2006 to coordinate and manage the on-site installation of the large Newseum project in Washington, DC. As a project manager his portfolio ranged from Disney to Universal, to Princess Cruise Lines. He led the Electrosonic team on the National September 11th Memorial and Museum. Outside Electrosonic, Benedict was production manager for the America I Am traveling exhibit as well as an interactive fountain show in Atlantic City and several high-profile events in Los Angeles and Las Vegas.